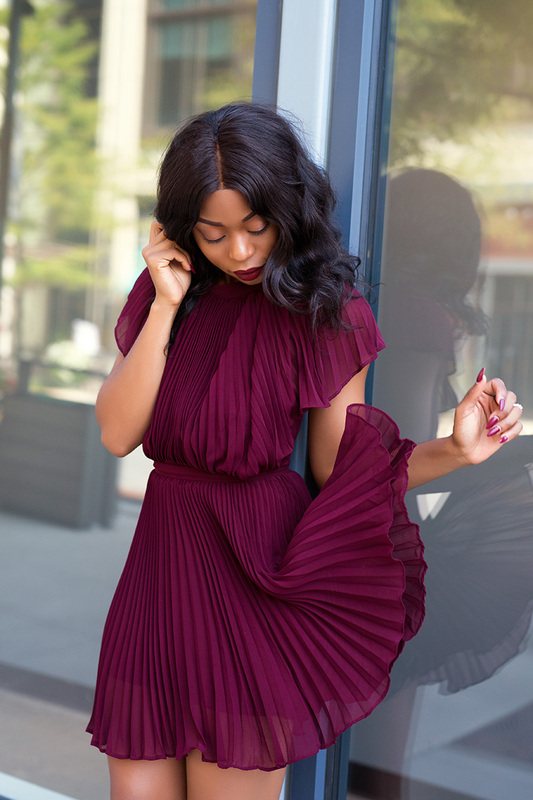 There are some dresses like this Keepsake dress that are simply irresistible; from the pleated chiffon, draped sleeves to the open back, it is a perfect combination of cute and fun. The color is vibrant and rich and matches my favorite fall color. I paired it with black strappy sandals but you can also pair with beige sandals, or metallic sandals. This is a great dress for a date night with hubby or fun party or night out with friends and for cooler days, you can throw on a black leather jacket. this is so gorgeous, i saw it on snap-chat and couldn't wait for you to post it. PS i always look forward to your posts. You look stunning Stella! Beautiful photos. Do you workout? You look amazing! So gorgeous, love this dress!